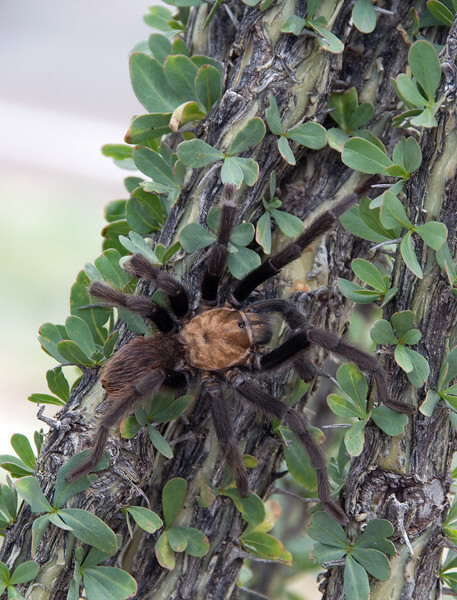 He eventually climbed an Ocotillo plant to avoid being photographed but I got him there too. After several photos he continued on his way. I hate spiders. Cool photo, though.